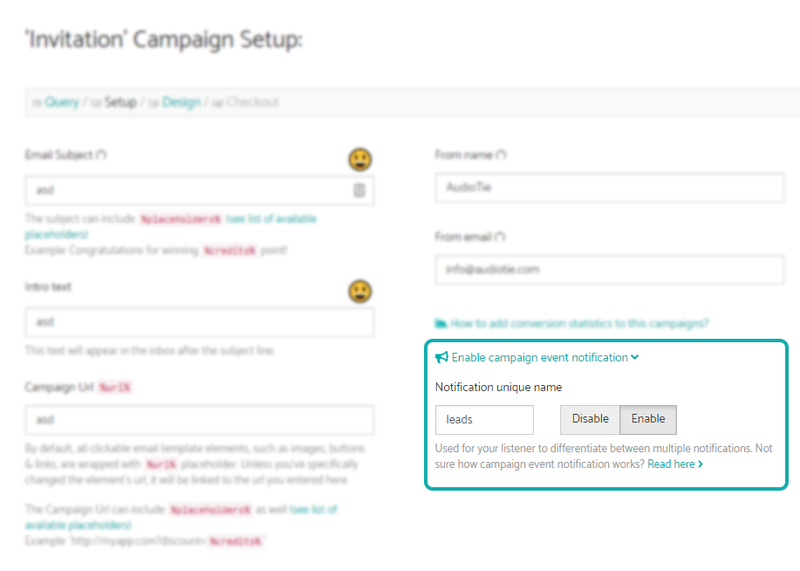 Event notifications is a message service that automatically notifies your application of events related to your campaign emails. Using this service can be used to automate back-office and administrative functions. Knowing if a certain user opened any of the emails you've sent him over the last 2 years can be useful for clearing your lists. Also, to know the group of users who are most responsive to your emails, might be useful for your crowdfunding, or Facebook-like campaign. This essential information might exists in your external CRMs or ESP providers, but it usually does not interact with your in-app retention needs. You create a listener page on your website and then specify the URL of the listener page in your app settings. When email event happens, MailSurgeon sends a POST containing information to that URL. Your listener then detects and processes messages according to your application needs.